Determining if your friend or loved one is a heroin addict is extremely difficult. Heroin addicts are renowned liars, and extremely careful about exposing their addiction to anyone. Such is the power of heroin, that they will do whatever is necessary to avoid being caught. How can you spot a heroin addiction in a loved one? What are the signs? Despite the best efforts of drug abusers, there are many telltale heroin addiction symptoms that you can look for if you suspect a friend or loved one could be an addict. Below we’ve outlined some of the most common physical and behavioural symptoms that point toward a spiraling heroin addiction. Heroin affects the body in alarming ways. You might start to notice that your friend or loved one suddenly starts losing weight and has little interest in eating. Moreover, you might notice they have tiny pupils and exhibit cold/flu like symptoms. A hacking cough is also very common, as is puffiness around the eyes and a sudden tick. Changes in behaviour and mood swings are also a good barometer for determining if a friend or loved one is a heroin addict. The list of behavioural changes is extensive, but there are certain changes in behaviour that are more telling than others. The first change is deceptiveness. If you start to notice that your friend or loved one is lying more, or generally becoming more hostile and defensive, then alarm bells should start ringing. Furthermore, if you start to notice that they are spending more time with new friends, and choosing to wear long clothes, even in extreme heat, they could be trying to conceal needle marks. You may also notice an increased amount of apathy, as well increased fatigue and a distinct lack of motivation. Depreciating levels in school and work are also typical heroin symptoms. Due to the variations of both physical and behavioural heroin symptoms, it is sometimes necessary to be aware of less obvious signs of addiction. These signs typically revolve around the paraphernalia that heroin addicts use. This might include finding razor blades and credit cards with a powdery residue, lots of items that can be used as tourniquets; like rubber bands and shoe laces, as well as finding that your spoons suddenly have lots burn marks. Finding items like syringes or the caps that are used on syringes is also common. It may also be helpful to pay attention to your friend or loved ones spending habits, such as if they start to ask to borrow money more frequently. Going through heroin withdrawal with a friend or loved one is extremely painful and incredibly heart-breaking. The effects of heroin withdrawal can be likened to those of a supercharged flu. Subsequently, typical flu-like symptoms are to be expected, such as: fever, sweating, diarrhoea and muscular pain. Heroin withdrawal also includes erratic crying fits, insomnia and, as you can imagine, powerful cravings. The detox process in long and painful, and is best done under medical supervision. You can learn more about our on-site detox programs here. If you discover that a friend or loved one is a heroin addict, then speed is of the essence. 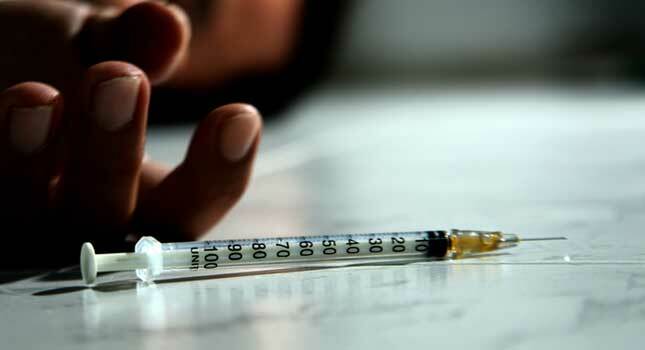 Heroin is highly addictive and extremely dangerous; in many cases leading to death. Therefore, doing nothing, or adopting a ‘wait and see’ attitude could be endangering the life of your friend or loved one. Despite the necessity for speed, you also need to show some compassion. Drug addiction is a disease, and addicts can be highly defensive about their habits. Subsequently, an aggressive approach may be detrimental. This doesn’t mean that you should take an overly soft and delicate approach; you need to be assertive, and try to make your friend or loved one aware of the severity and danger they are putting themselves in. The best way to help an addict is to try and make it clear how dangerous addiction really is. The more informed they become, the more likely they can start making more conscientious decisions. If they aren’t willing to change their habits, it’s unlikely that they will put any effort in. So, try to provide them with the options that are available, including rehabilitation and therapy. Visit The Cabin for more resources and advice on how to spot, combat, and help your friend or loved on with their heroin addiction here.